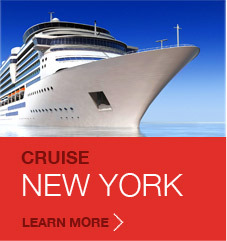 Looking for a cruise from New York? 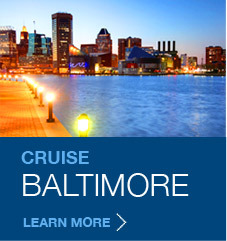 New York is a convenient port for cruise travelers from New Jersey to Pennsylvania and throughout the mid-Atlantic. But it’s also a top destination of its own with so much for travelers to see and do before their cruise departs. Explore the city’s greatest sights and attractions before taking in paradise at the destination of your choice. Or, stay in town for a fun-filled stay in one of our country’s greatest cities. Contact WorldTravelService® to book a cruise from New York today! Cruises out of New York City not only make travel easy and convenient for mid-Atlantic residents—but they also offer unique opportunity to explore one of America’s favorite cities. The Big Apple is filled with character and personality—it’s one of the biggest cities out there. Whether you want a local NYC cruise of area attractions or you’re just setting sail at the NYC port, there’s so much to see and do. Your WorldTravelService® agent can book your hotel room and recommend dining and recreation. 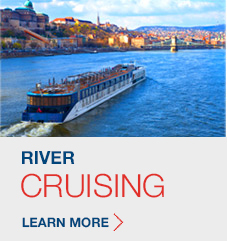 WorldTravelService® has the most extensive resources in the mid-Atlantic for booking cruises and cruise vacations. Our worldwide network enables us to offer our cruise clients exclusive upgrades, amenities, private excursions, and other specials and treats that you just won’t find anywhere else. With endless local destinations and so much to see and do, a cruise from New York is one of our best trips. Contact WorldTravelService® today to book your NYC cruise, and find out why our clients book cruise after cruise with us!